While running is more physically demanding than walking, the latter is still a good form of exercise and a great recovery tool for runners. Running the same speed and distance each day can lead to plateauing. Walking, which is lower impact, can allow your body to recover and enable better results over the long term. Running will lead to greater cardiorespiratory fitness than walking, as well as more calories burned in an equal period of time. However, walking is a better alternative for people with ankle, knee or back injuries (including recent surgeries), as well as for people who are obese. Walking puts less stress on joints and can reduce the pains associated with running. Like running, walking can improve heart health, improve circulation and improve posture. Walking can also help reduce the risk for high blood pressure, high cholesterol, diabetes, heart disease and even cancer. 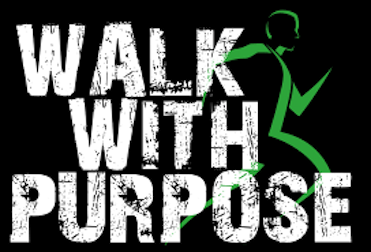 The key is to walk with a sense of purpose by engaging in at least moderate-intensity walking. Walking can even be a form of interval training. By repeatedly raising and lowering your speed and (if you are on a treadmill) the incline, you can also raise and lower your heart rate intermittently, which is a great calorie burner. You can even intersperse short runs, of say a block or two or a minute or two, into your walks. Walking uphill or on an incline places more demand on the body, particularly the leg muscles. You’ll notice it in your heart rate, as well. The higher you set the incline on the treadmill, the more you activate your glutes, quadriceps and calves, and the more energy you use. That means more calories burned. One common mistake that people make when using a treadmill is holding onto the handrails. This takes away from muscle engagement and the energy required to walk or run at the level you set. Remember, there are no handrails when you walk outside and you manage that quite well! Like running, walking can clear your mind, improve mood,nd alleviate anxiety and depression. So, put on some comfy athletic shoes, get hydrated and get in motion.